If you call The City of Joy your home then Christmas is a big deal and its warmly celebrated by all Kolkatans. For most of us an integral part of Christmas is the Christmas Cake. We all have our favourite ones and eagerly look forward to going and buying our cakes. I have fond memories of going with my grandparents and parents to Nahoums and Flurys for my Christmas Cake and devouring them with gusto and glee. My favourite Christmas cake of late is made by a dear friend and super talented Chef and Restauranteur Rahul Arora who owns Bon Appetit (Salt Lake and Hazra) , Paranthewali Gali and Cafe Pranah and he just had a Cake Mix for his absolutely wonderful christmas cakes at Cafe Pranah. 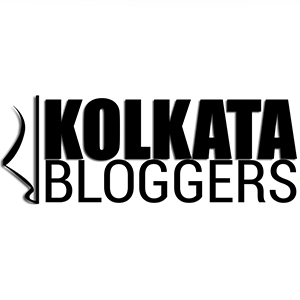 This event is a much awaited eagerly looked forward to one on my calendar because it is also an annual fixture on our Kolkata Food Fanatics calendar every November.Not only do we have lots of fun with the cake mix but we get to do it with fellow foodies who are also dear friends. The madness and bonhomie just make it that much more special to all of us. I love the riot of colors in cake mixes , the dry fruits , fruit peels and a whole lot of booze , the heady aromas of the spices are all such a delight that the memories linger. Though I hardly drink I absolutely love to pour in all the booze into the oversize vat containing the dry fruits and peels and then watch Chef Rahul mix it all in .The thrill of sinking my teeth into that cake is bound to bring a smile with every bite of the cake when I eat it. I truly believe its not just Chef Rahul’s wonderful baking skills and all the top quality ingredients he uses but also the warmth and positive vibe of his cake mixes that make him churn out such stellar cakes every single year on year ! He is a warm and wonderful host and he had laid out a super delicious spread for us at Cafe Pranah. After our usual monkey business during the cake mix everyone was ready to dig in. Delicious Zesty Chicken Crostinis , Creamy Mushrooms on Toast , Multi grain Bhel , Chocolate Rum Christmas Cake and Gondhoraj Tulsi Tea and Iced Quawah for the Beverages all of which we attacked happily bought a wonderful afternoon to a close. We were also given some delicious Muffins to carry home with us. Thank you Rahul for such a lovely time and here is looking forward to the delicious Cakes. You can order your cakes by calling Chef Rahul Arora on +919836760160. Highly recommended and guaranteed to put the “merry” into your Christmas ! DISCLAIMER : I was invited by The Management as a guest to participate in the event but the views expressed are entirely my own.